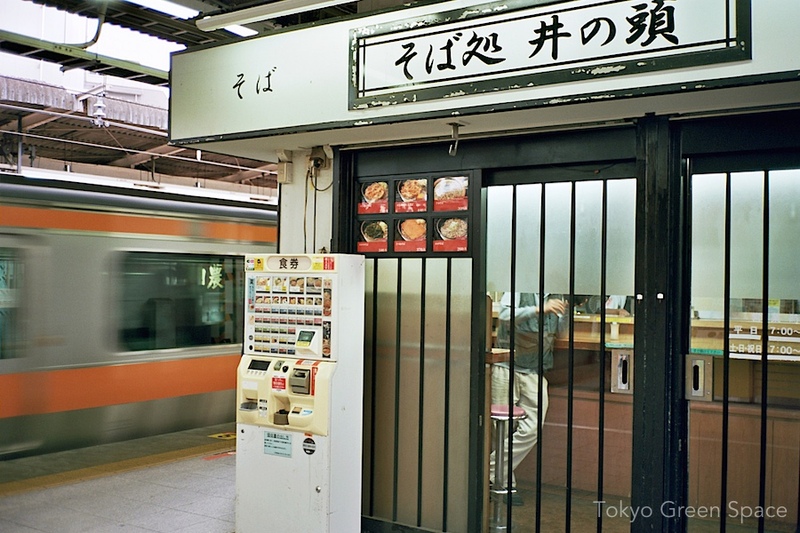 In the bigger stations, you can eat a quick meal on the platform. Sumida river sparkles at night. Is Tokyo best experienced by dark? Tokyo looks more magical at night. Walking across the Sumida River after seeing a sumo tournament, we admired the retro modern view of the bridges, elevated freeways, railway tracks, and inky black river. Even Sky Tree, the latest addition to this skyline, projects a futuristic image that is oddly familiar. The green neon marks the Kanda river’s last bridge before joining the Sumida river. This river starts at Inokashira park in Kichijoji, west of where we live and winds for 26 kilometers before joining the Sumida and flowing into Tokyo Bay. 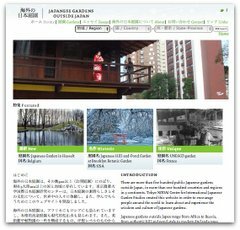 A few years ago, I co-wrote an article about the Kanda river’s history and potential for new urbanism in Tokyo. You can download the 6 MB document in PDF form here. At the bottom, you can see that there are still pleasure boats parked at the bottom of the Kanda for river dining and drinking. I’ve never been on these smaller boats. Biking up the Kanda river to Kichijoji, I was surprised to see hundreds of yellow irises blooming in the river bed. I wish there was more access to the water, but seeing these bright flowers draws my attention to what else might be living and growing in the river. I love this large shrine and wooded grounds in Kichijoji. Towards the end of a summer afternoon, the shadows and quiet are very inviting. The shrine is called Musashino Hachimangu (武蔵野八幡宮), and it’s on an old street that connects Shinjuku with the (now) inner western suburbs called Itsukaichi Kaido (五日市街道). A hundred years ago, Musashino and Nakano were farms, and you can see the kanji for “field” in both of these town names.